Line: ATL -3.0. Over/Under 53. Series History: Atlanta leads the all-time series 52 – 46. The most recent game, towards the end of December 2017, we saw the Saints clinching their playoff birth beating the Falcons 23 – 13 in the Mercedes-Benz SuperDome in New Orleans. The unforgettable “back catch” interception made before halftime by Marshon Lattimore following a Marvin Hall tipped pass and two seperate failed attempts at offensive stands by the Falcons from inside the Saints 2 yard line to be handed the ‘L’. Matt Ryan was sacked five times and Saints defense contained Devonta Freeman, holding him to only 36 rushing yard on 11 carries. 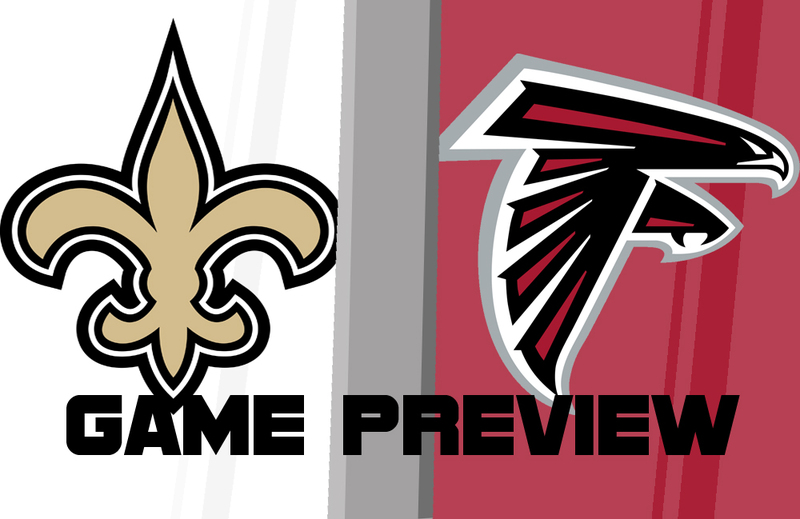 In Atlanta: The Falcons lead the series with the Saints 28 – 21 when playing at home. The last home game, in the beginning of December 2017, the Falcons emerged victorious finishing 20 – 17 with help from an interception in the endzone by Deion Jones with 1:25 left to essentially seal the win. Offense – Calvin Ridley: The rookie, and number three reciever for the Falcons, only has 4 receptions so far on the season and scored his first career touchdown last weekend against Carolina. Some confidence instilled alongside Sark and Matt Ryan’s successes to step up further. It should be interesting to see what he can do against a Saints defense that has given up 856 total yards only two games into the season. Defense – Demontae Kazee: The second year safety has been all over the field for Atlanta through the first two games of the season. Granted he plays this week, (if he isnt suspended) he’ll be stepping in again for 3-year starter Keanu Neal who tore his ACL the first game of the season against the Eagles and will be out the remainder of the year. Kazee brings the heavy hitting, ball-hawk attitude that Dan Quinn and TD love so much, but will have to be especially disciplined with his tackling this weekend after the helmet-to-helmet hit on Cam Newton last weekend that got him ejected. We know you can hit… we love you for it. Game-time speed and decisions aren’t easy. Don’t stop being you, but keep your head up, brother. Offense – Alvin Kamara: New Orleans’ 5’10 leading running back enters this game with just 75 rushing yards on only 21 attempts, but 165 recieving yards on 15 receptions through week 2. Look for the Saints to feature Kamara in their usual power rushing scheme. Watch for more touches in hopes to break out and take advantage of the Falcons ailing defense who is missing two key defensive pieces in Neal and Jones, as well as others nursing their injuries day-to-day. The Falcons are giving up 13 more rushing yards on average than last year, 117 yards allowed for 2018 and respectively 104.1 yards on average overall in 2017. Defense – Cam Jordan and Marcus Davenport: Two of the defensive linemen tasked with getting to Matty Ice. Cam, being a terrific pass rusher, had two sacks in the last Saints-Falcons contest. Factually, in his eight seasons with New Orleans he’s gotten to the Falcons quarterback 10 times, more times than any other team. Cam, or possibly even third year end Sheldon Rankins, may help to provide the distraction Marcus needs to get to Matt Ryan while simultaneously containing the run. The game kicks off at 1pm ET. Should be an interesting outing in Atlanta this Sunday. Will the defenses show up? Should the Saints cover Julio? Sanu? Calvin? Hardy? Not to mention Coleman and Smith lurk in the backfield… The rivalry is on! We shall see.